The rainforest and mountain views of Costa Rica are amazing for any family to witness. 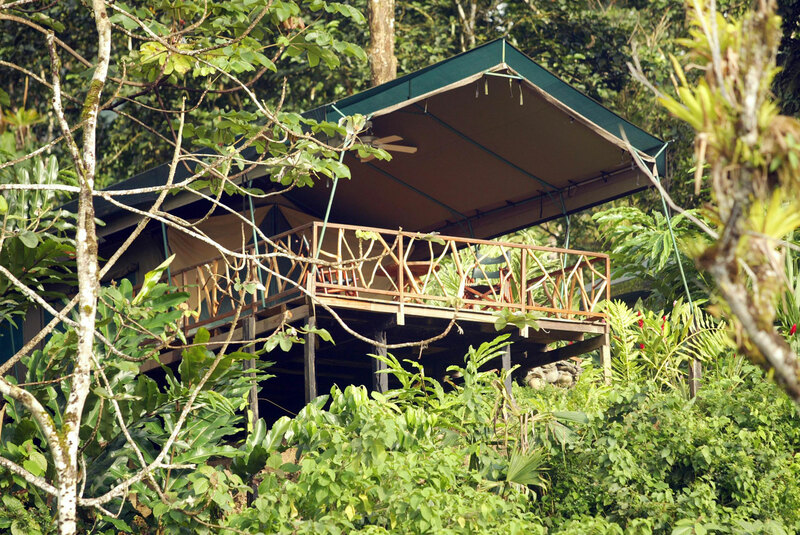 But to see them from your open-air accommodations, high in the jungle trees, is next-level (literally). 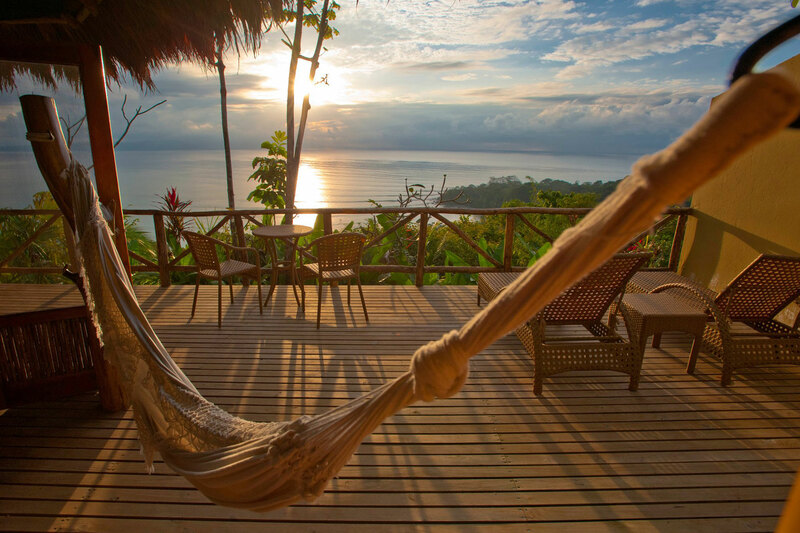 Costa Rica offers several treehouse hotel options, some situated high in the branches, others in rustic wooden cabins in remote villages on the ground, offer families an authentic Costa Rican, Pura Vida (pure life), experience. These are the most enchanting Costa Rica treehouse hotels for families. Built almost entirely from bamboo, this Costa Rica treehouse hotel is located on the southern Caribbean coast. Families will love being just steps from the beach when staying at Tree House Lodge. The treehouse suite is built on top of stilts, but large tree branches run through it. A suspension bridge leads families to the front door, where inside the split-level lodging, you’ll find king and double beds; screens in the windows and mosquito nets around the beds to protect from bugs; a full kitchen with a refrigerator; living room area; two bathrooms; and an outdoor shower. What’s better than sleeping in a treehouse? Sleeping in an airplane in a treehouse! You can do just that at Hotel Costa Verde, near Manuel Antonio National Park. 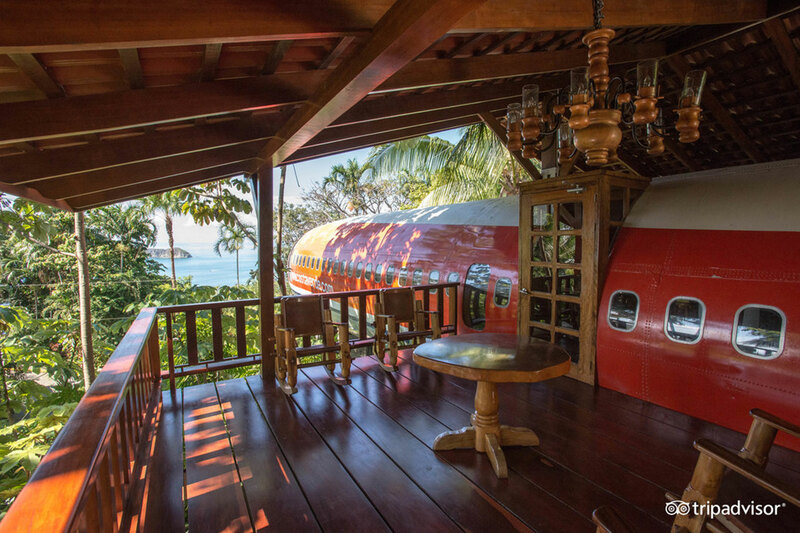 The hotel’s 727 Fuselage Home offers families the unique opportunity to sleep in a 1965 Boeing 727. The two-bedroom suite offers three queen-size beds and space for up to six guests. It also offers a private bathroom, kitchenette and oceanview terrace. Other treehouse accommodations include a Cockpit Cottage for two guests, and a variety of houses and bungalows. Situated about an hour into the mountainous rainforest of Manual Antonio National Park is Santa Juana Lodge, one of our favorite Costa Rica treehouse hotels. The journey to Santa Juana is part of the adventure, and we recommend hiring a driver for it — the drive is pretty bumpy. 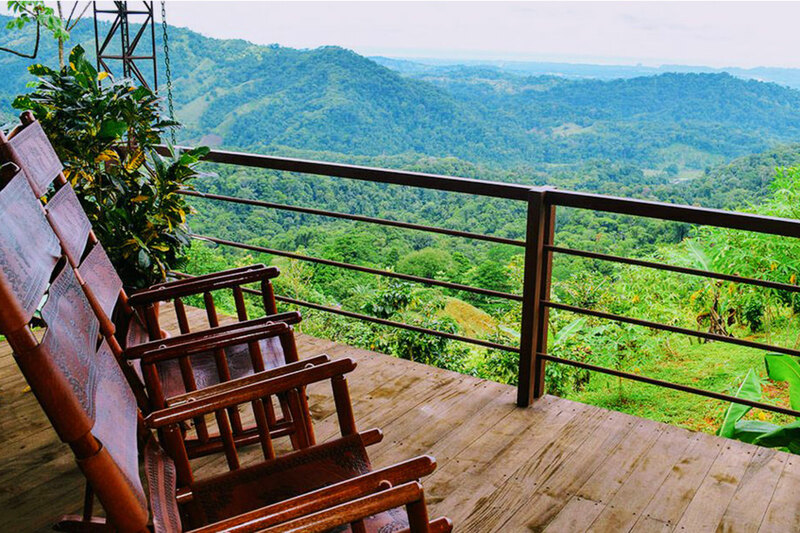 The cabins at Santa Juana hang over the mountainside, giving families that treehouse-feel with impeccable panoramic rain forest views from the balconies. There are high ceilings with wood features throughout the cabins, a king bed, two sleeper sofas ideal for the kiddos, and a kitchenette. 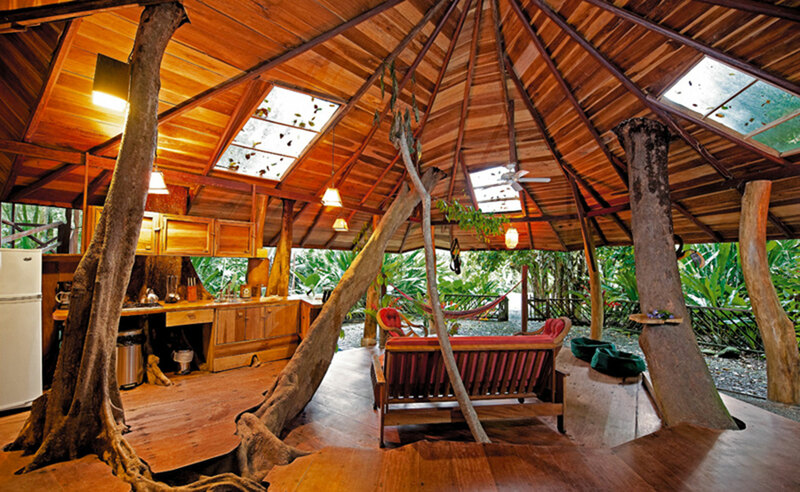 All of the rooms at the Tree Houses Hotel are actual treehouses in the rain forest. 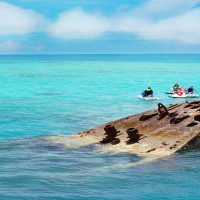 The rustic wooden structures feature air conditioning, a full bathroom with warm water shower, a mini-fridge (electricity does run to the treehouses) and a gorgeous porch that is eye-level with rain forest wildlife. Some of the treehouses feature bunk beds, perfect for the kids, and the bed frames look like tree branches themselves. Situated on more than 1,000 acres of rain forest reserve in the Osa Pensula, Lapa Rios Ecolodge is home to endangered monkeys and more than 300 bird species. 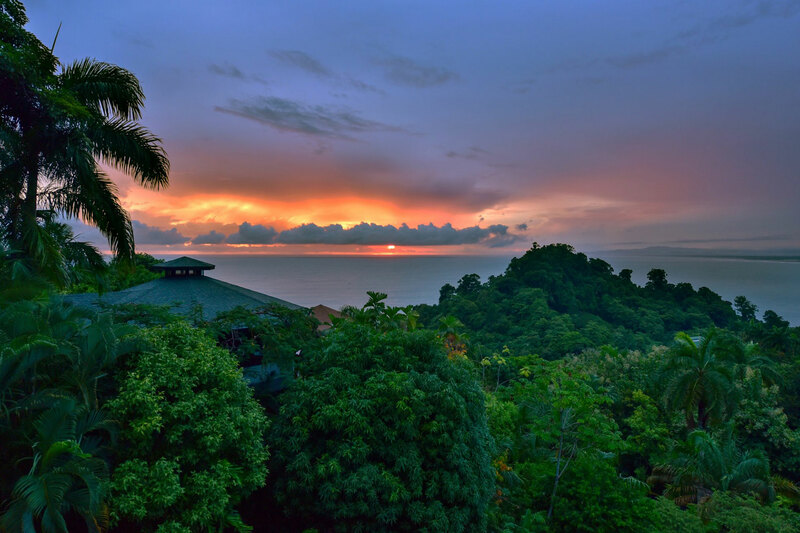 The rain forest bungalows dot the ridge of the reserve and overlook the ocean. The open-air bungalows feature screens, perfect for enjoying the cool ocean breeze (no air conditioning here) sans bugs, and canopy nets are situated over the beds. Some of the bungalows can accommodate five guests with two queen beds and a rollaway bed upon request. 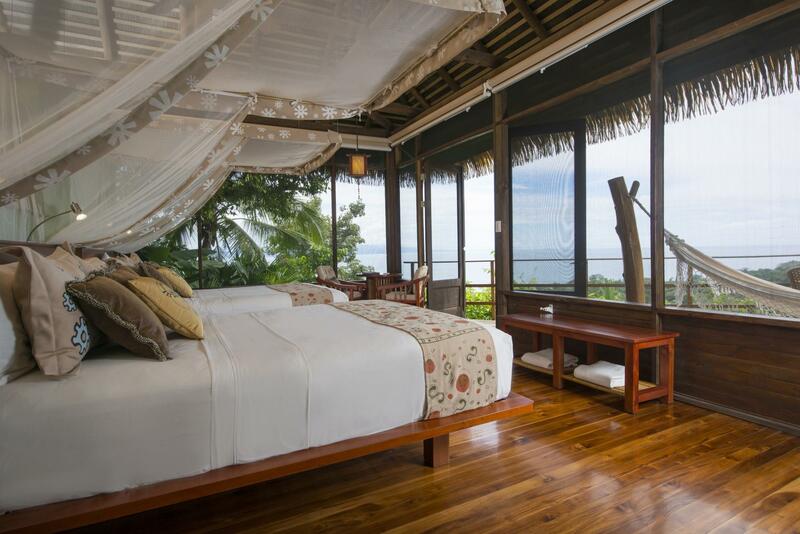 This Costa Rica treehouse hotel is within walking distance to the beach, as well. Children must be 6 years old to stay here. 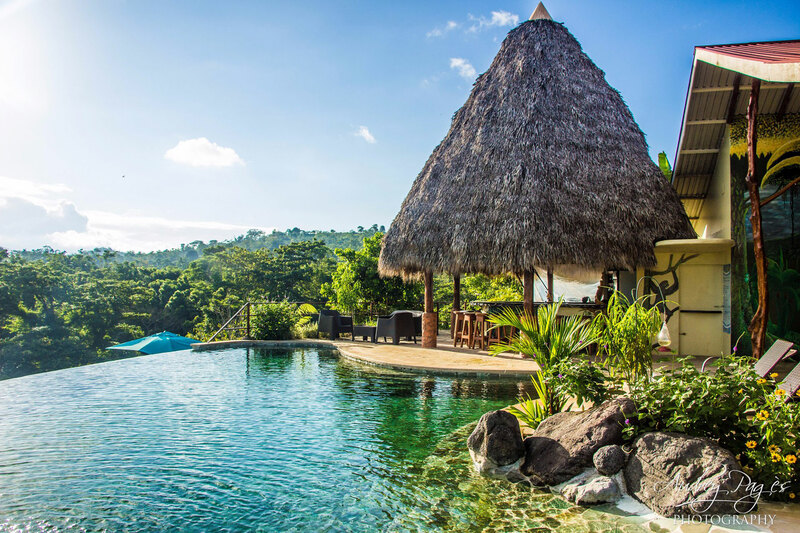 Rafiki Safari Lodge is located on Costa Rica’s Pacific side, about an hour from Manual Antonio National Park. This treehouse hotel is situated along the Savegre River (which is perfect for white water rafting), among more than 800 acres of private jungle reserve. The “treehouse” accommodations are more like luxury safari tents with fully equipped bathrooms. The walls and roof may be canvas instead of wood, but they are still situated high in the treetops with amazing views below, especially from the huge wooden outdoor terraces. 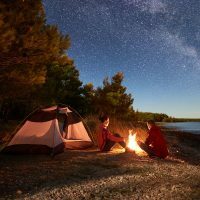 Two of the treetop tents can sleep five or six people, perfect for families. 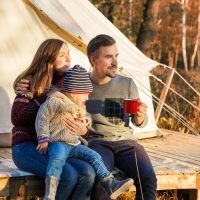 There are several cabin choices at Leaves and Lizards Arenal Volcano Cabin Retreat, but the treehouse option is perfect for families. The master bedroom area features a queen bed, there is a queen sleeper sofa in the living room, and two twin beds can be found in a small, upstairs loft area. One of the two bathrooms is situated in the center of the manmade tree. The staircase to the loft area looks as if you are climbing tree branches to reach the top. 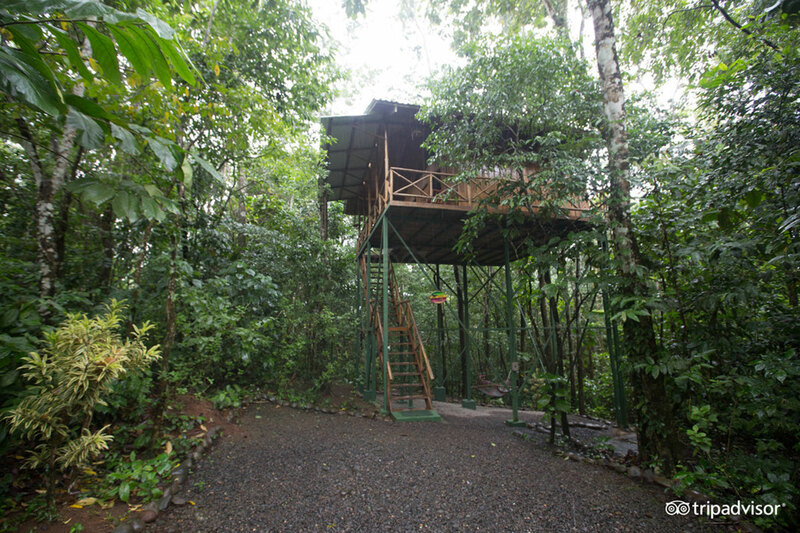 While this treehouse may be growing from a manmade tree, it’s an excellent option for families who want to stay in a Costa Rica treehouse hotel with air conditioning, a kitchenette and laundry room to go along with the magnificent Arenal Volcano views. The lodging at Tulemar Resort is immersed high in the Tulemar gardens. The bungalows can sleep five people and they are nestled in the hillside, just like a treehouse. The bungalows feature an octagonal design with floor-to-ceiling windows, giving the feeling of being surrounded by the gorgeous green jungle views. The two queen beds, sleeper sofa and kitchenette are ideal for families.